Nine people were charged with alleged drink driving offences at the weekend as further high visibility Road Policing patrols continued to take place across the North East. 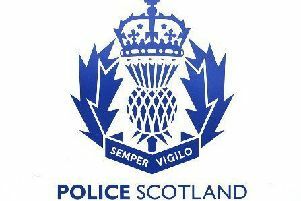 Six people in Aberdeen, two in Aberdeenshire and one in Moray were arrested and charged by officers. All of those charged were men and have been reported to the Procurator Fiscal in their respective areas. Road Policing Inspector Neil Morrison said: "Last weekend eleven people were charged with alleged offences and a further nine this weekend during patrols under Operation CEDAR (Challenge, Educate, Detect and Reduce), which aims to influence driver behaviour. The safety of all road users is a priority for North East Division and we will continue to carry out proactive operations to attempt to deter and detect drink driving in our communities." He added: "Time and time again warnings are issued that drink driving will not be tolerated, yet time and time again certain drivers think they can ignore these messages. By driving under the influence you put yourself and other innocent members of the public at risk, and could lead to your imprisonment. The safest option is to not do it at all. "Anyone with concerns about potential drink driving offences can contact Police on 101."